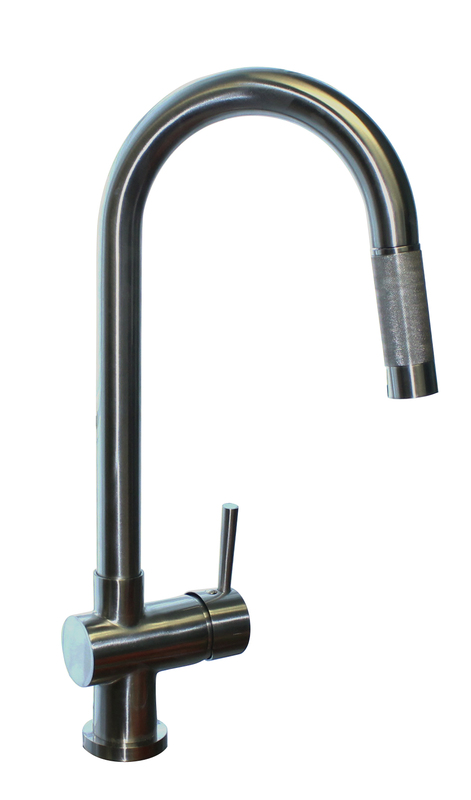 This 2 Handle kitchen faucet combines the utility of a single handle kitchen faucet, with its utility for turning the water on and off – with messy kitchen hands – and the instant 190 degree water, used for beverages and other kitchen uses; in a single faucet package. 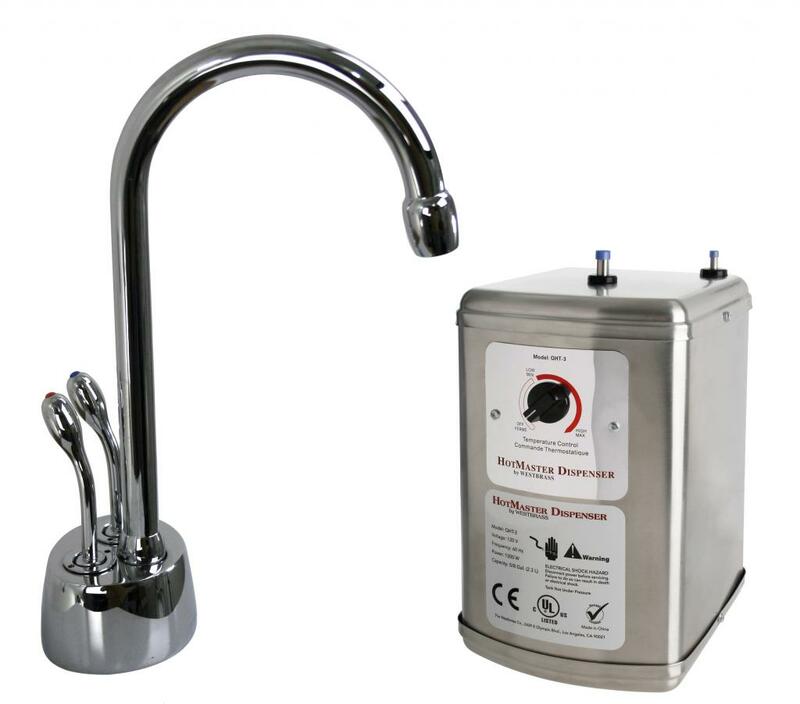 Hot and Cold water uses the regular domestic hot water heater option. 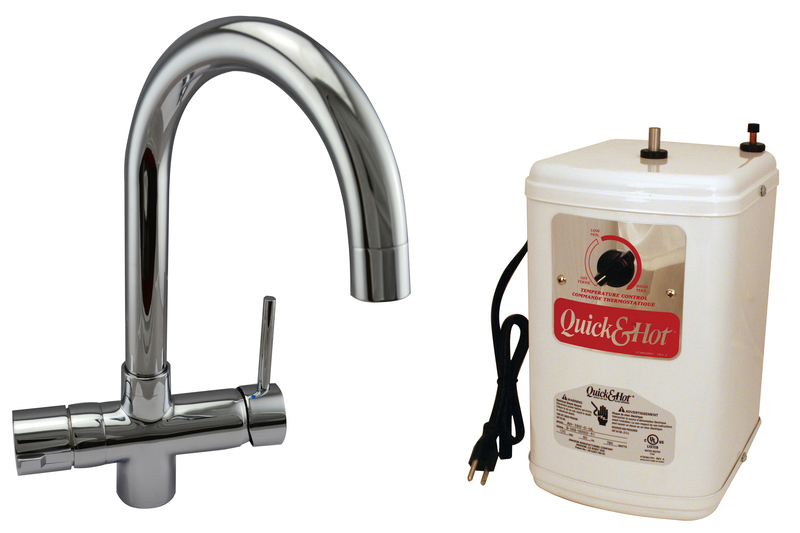 Instant hot uses an additional 1300 Watt hot water tank to bring the delivered water up to 140 – 190 degrees.